without having the vintage collector's wallet. from five vintage motorcycles in our collection! Click on any of the images above to view our bikes, or click on the links at the top of the page. 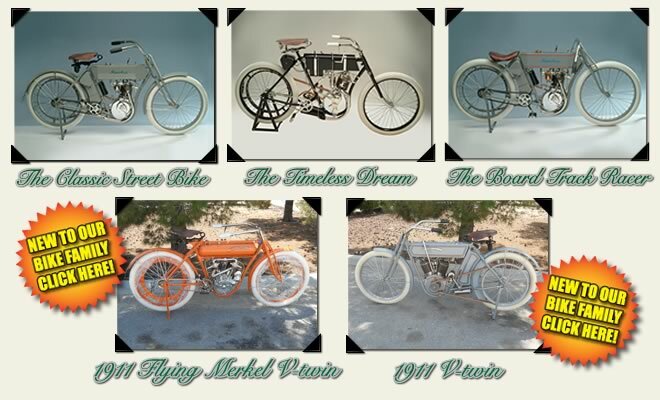 These bikes are truly Timeless!